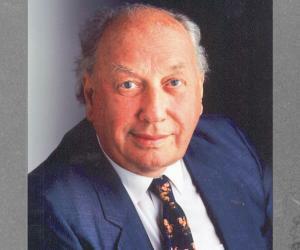 Sir John Robert Vane was an eminent British pharmacologist of the twentieth century who received the Nobel Prize in Physiology or Medicine in 1982. This biography provides detailed information about his childhood, life, career, research and timeline. 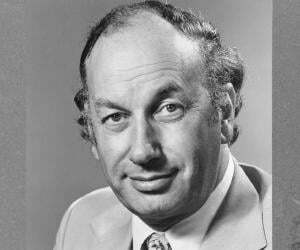 Sir John Robert Vane was an eminent British pharmacologist of the twentieth century who received the Nobel Prize in Physiology or Medicine for his work on prostaglandins and the active biological substances that were related with it. He shared the prize with two other scientists, Bengt Samuelsson and Sune Bergstrom. His discovery on the effects of aspirin in relieving pain and inflammation led to new methods of treatment of heart diseases and problems with blood vessels. Though aspirin had been used for many years to relieve pain, nobody understood how it worked. He was the first to discover that aspirin was able to reduce the production of some of the ‘prostaglandins’ which were responsible for creating inflammation, pain and fever in the body. He explained how aspirin prevented blood clotting and strokes and heart attacks. He developed a set of ‘bioassay’ or ‘biological assessment’ techniques to measure the activity of a biological substance in measuring the effect of ‘angiotensin-converting enzymes’. With the help of these techniques he was able to establish a link between ‘prostaglandins’ and aspirin. He was also instrumental in the development of ‘prostacyclin’ which is a key factor in helping the blood vessels remain healthy. 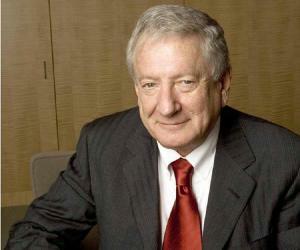 John R. Vane was born in Tardebigg, Worcestershire, England on March 29, 1927. His father, Maurice Vane was a Jewish Russian immigrant, and his mother was Frances Vane who was the daughter of a Worcestershire farmer. He was the youngest of the three Vane siblings and had an elder sister and an elder brother. He lived in a Birmingham suburb and attended the local state school there from the age of five. He then joined the ‘King Edward VI High School’ in Edgbaston in Birmingham which had to be shifted to a site beside the Repton School in the countryside due to the World War II. After finishing high school with pure science subjects he joined the ‘University of Birmingham’ in 1944 where he studied chemistry. He soon lost interest in chemistry as there was nothing much to experiment on during his university years. 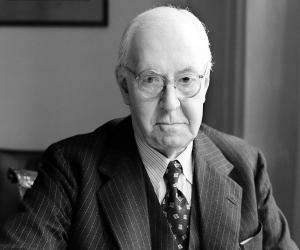 He joined the pharmacology department at the ‘Oxford University’ in 1946 when Professor Maurice Stacey told him that Professor Harold Burns was looking for a young chemist for pharmacological work. After getting his B.Sc. degree in pharmacology from the ‘Oxford University’, he joined the ‘Sheffield University’ as a ‘research worker in pharmacology’. Vane stayed at the ‘Sheffield University’ only for a few months and then returned back to the ‘Oxford University’ to study for his D.Phil. He joined the ‘Nuffield Institute for Medical Research’ under Dr. Geoffrey Dawes. He received the ‘Stothert Research Fellowship’ in 1951 which helped him complete his PhD. in 1953. In 1953 he moved with his family to Newhaven, Connecticut, United States, to join the ‘Department of Pharmacology’ at the ‘Yale University’ as an ‘Assistant Professor of Pharmacology’ at the invitation of the then Chairman Dr. Arnold Welch. After staying at the ‘Yale University’ for 2 years, he returned to the UK and joined the ‘Institute of Basic Medical Sciences’ attached to the ‘Royal College of Surgeons of England’ under the ‘University of London’. He started to work there with Professor W. D. M. Paton. While there, he taught only graduate students and had plenty of time to carry on with his research work. During the 18 years he was with this institute, he became a Senior Lecturer in 1955, a Reader in 1961 and finally a ‘Professor of Experimental Pharmacology’ in 1966. Under the Chairmanship of Professor G. V. R. Born, an acquaintance from Oxford days, he worked with an active group of researchers and scientist at the department and developed the ‘cascade super-fusion bioassay technique’. This was used to measure instantly and dynamically the ‘vasoactive hormones’ that were released in the blood or in the ‘perfusion fluid’ of organs. During the mid-1960s he focused his experiments on ‘prostaglandins’ and in 1971 he was able to establish a link between ‘aspirin’ and ‘prostaglandins’. In 1973 he joined the ‘Wellcome Foundation’ as the ‘Group Research and Development Director’ in spite of opposition from many quarters. He helped many of his colleagues from the ‘Royal College of Surgeons’ to join the ‘Wellcome Foundation’ which grew into the department of ‘Prostaglandin Research’ led by Dr. Salvador Moncada. His book ‘Metabolic Functions of the Lung’ with Y. S. Bakhle was published in 1977. The book ‘Prostacyclin’ co-authored with Sune K. Bergstrom was published in 1979. His third book ‘Aspirin and other salicylates’ co-authored with Regina M. Botting came out in 1992. In 1973 he was made an ‘Honorary Member of the Polish Pharmacological Society’ and also became a ‘Fellow of the Institute of Biology’. In 1974 he was made a ‘Fellow of the Royal Society’. He became a ‘Walter C. McKenzie Visiting Professor’ at the ‘University of Alberta’, in Edmonton, Canada in 1977. He received the ‘Baly Medal’ from the Royal College of Physicians’ and the ‘Albert Lasker Basic Medical Research Award’ in 1977. Vane was awarded an ‘Honorary Fellowship of the American College of Physicians’ and became a ‘Member of the Royal Academy of Medicine of Belgium’ in 1978. He was chosen as a ‘Foreign Member of the Royal Netherlands Academy of Arts & Sciences’ and received the ‘Joseph J. Bunim Medal’ from the ‘American Rheumatism Association’ in 1979. He became a ‘Foreign Member of the Polish Academy of Sciences’ in 1980. He also received the ‘Peter Debye Prize’ from the ‘University of Maastricht, Holland’, the ‘Feldberg Foundation Prize’ and the ‘Ciba Geigy Drew Award’ from the ‘Drew University, USA’ in 1980. In 1981 he received the ‘Dale Medal’ from the ‘Society of Endocrinology’. He received the coveted Nobel Prize in 1982. In 1982 he received an ‘Honorary Fellowship of the Swedish Society of Medical Sciences’ and also became a ‘Foreign Honorary Member of the American Academy of Arts and Sciences, USA’. He was awarded a ‘Doctor of Science’ by the ‘Aberdeen University’ in 1983. The ‘Copernicus Academy of Medicine, Cracow’ awarded him a D.Med, Hon. Causa, in 1977. 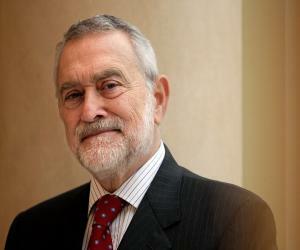 He received a Doctor, Hon Causa from the ‘Rene Descartes University’ in Paris in 1978, a Doctor of Science, Hon. Causa from the ‘Mount Sinai Medical School, City University of New York, USA, in 1980 and a Doctor of Science degree from the ‘Aberdeen University’ in 1983. He was honored with knighthood in 1984. 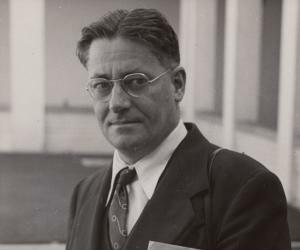 John R. Vane married Elizabeth Daphne Page in 1948 while he was in Oxford He has two daughters, Nicola and Miranda from this marriage. John R. Vane died on November 19, 2004 at the ‘Princess Royal Hospital, Kent’ due to pneumonia and complications of hip and leg fractures sustained in May in the same year. John R. Vane started experimenting from the age of 12 with a Bunsen burner attached to the gas stove in his mother’s kitchen but had to shift in the garden when an explosion occurred during an experiment.